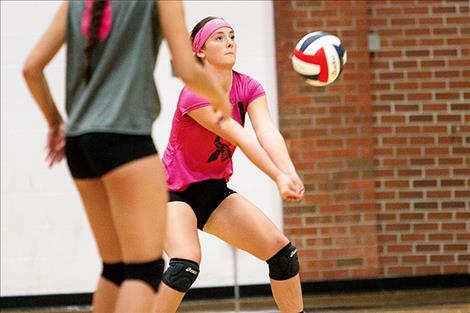 Lady Pirates host Maidens for volleyball matchupPOLSON – The Polson Lady Pirates volleyball team hosted the Ronan Maidens on Saturday at the Linderman gym. 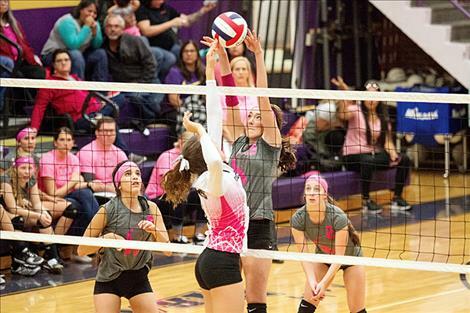 The Lady Pirates came away with the victory in straight sets 25-17, 26-24, and 25-13. 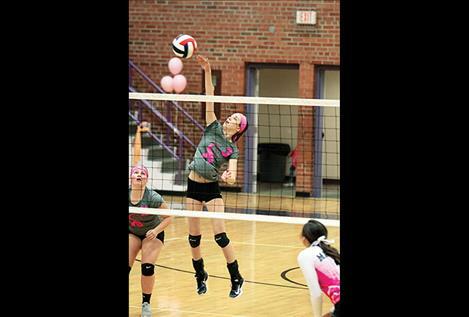 The match started with two ties, but a 7-2 run by the Lady Pirates gave them the lead that they never gave up. The Maidens struggled to get anything going and the closest Ronan got in the set was two at 10-8. Polson won the set 25-17 by finishing on a 6-2 run. In the second set, Ronan darted out to a 12-6 lead before the Lady Pirates clawed their way back to tie it at 19-19. Jaycee Frydenlund landed an ace to close out the set 26-24 giving the Lady Pirates a 2-0 set lead in the match. Polson came out of the gates fast in the third set, taking a commanding 14-4 lead. The Maidens had no answer for the Lady Pirates offense as they closed out the set on a 9-4 run winning the set 25-13 and the match, 3-0. The Lady Pirates will be back in action on Thursday when they travel to Stevensville to take on Yellowjackets. Ronan: Kills 12 (Louetta Conko-Camel 5, Madeline McCrea 3). Aces 2 (McCrea, Marissa Mock). Assists 11 (Tiana Ulutoa 7). Blocks 4 (McCrea 2). Digs 71 (Ulutoa 21, Mock 13, Regan Clairmont 10). Polson: Kills 29 (Kaelyn Smith 14, Mikaela DuCharme 10). Blocks N/A. 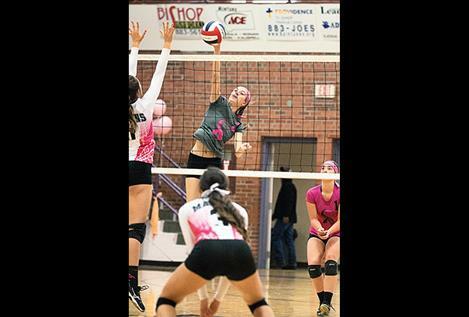 Digs 59 (Kyler Lundeen 20). Assists 27 (Laurel Bitterman 19). Aces 15 (Bitterman 4, Smith 4).